No more tangled mess in your server room or data center. 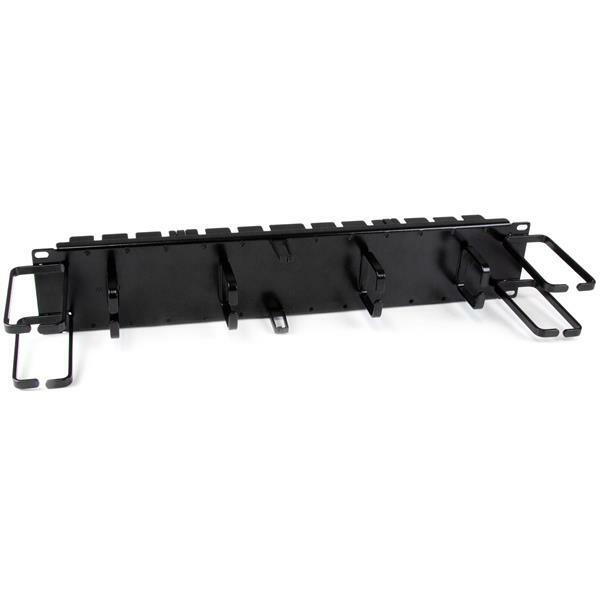 This one-piece organizer with 2U design provides an effective solution to cable management, helping you to keep all of your cables accessible and identifiable, for a tidier, more scalable server workspace. This TAA compliant product adheres to the requirements of the US Federal Trade Agreements Act (TAA), allowing government GSA Schedule purchases. 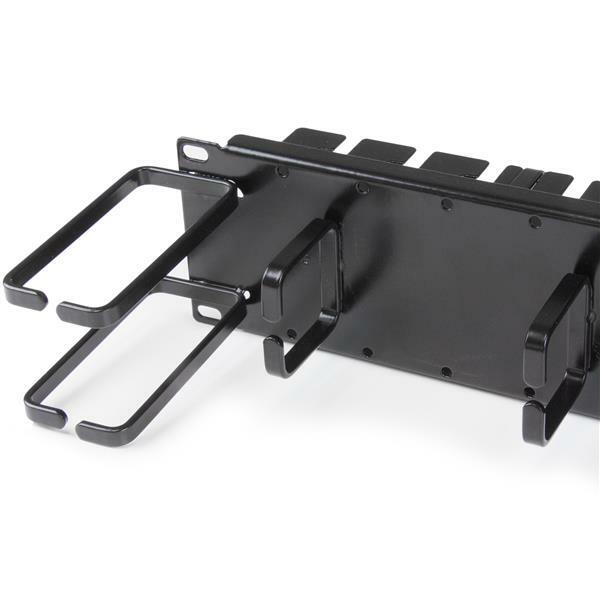 The 2U cable manager makes it easier to manage cables from the front or back of your server rack, with conveniently placed hooks that hold both vertically and horizontally running cables. 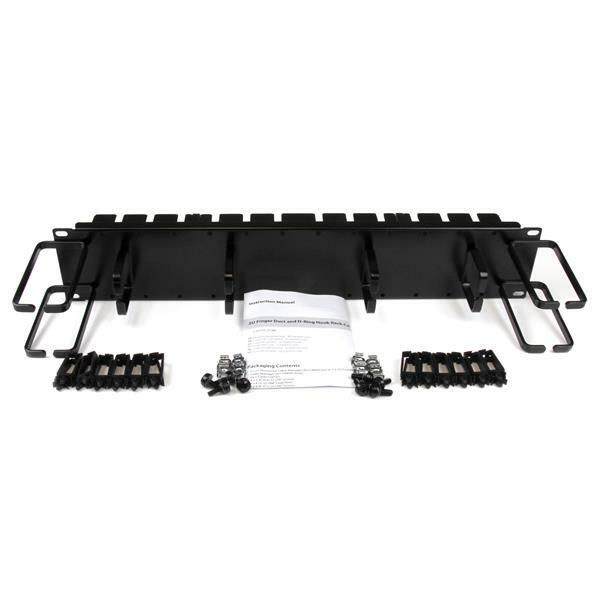 The organizer helps you manage network, server and KVM cabling in your server rack by utilizing a combination of horizontal finger ducts and vertical or horizontal D-ring hooks. 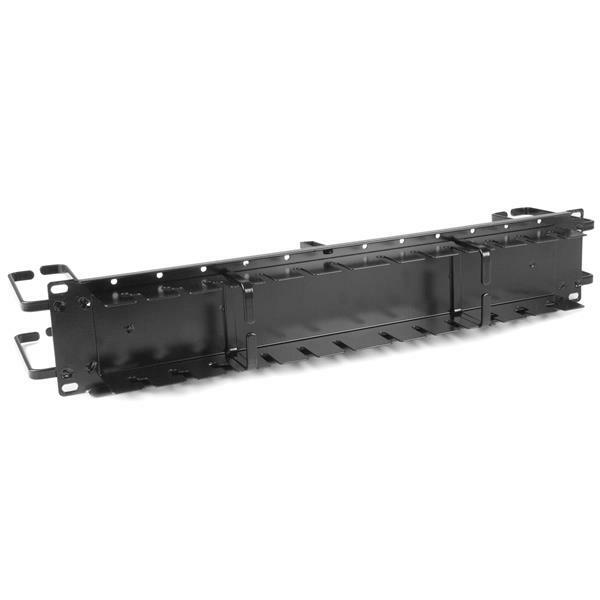 It organizes and guides cable using 24 lockable clips to keep cables securely in place. 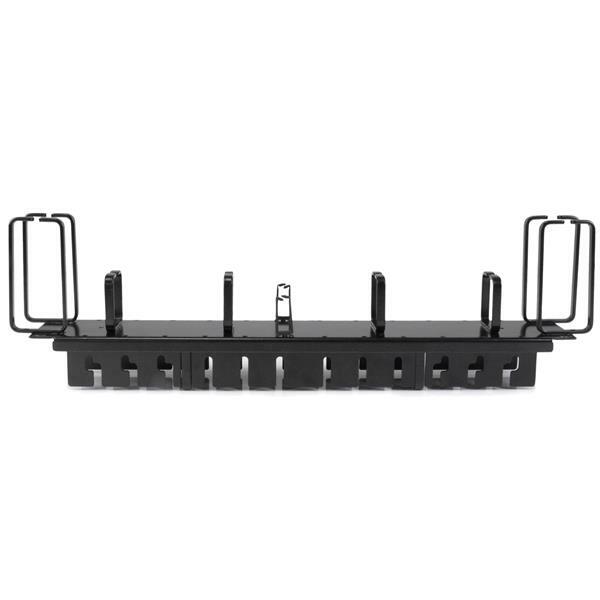 Engineered with high-quality steel construction and sturdy hooks, the cable organizer is built to deliver dependable performance, year after year. Adding the cable organizer in between your equipment also closes off open spaces in the rack, which promotes proper airflow. By relieving cable strain, it also increases the lifespan of your server and networking equipment interfaces. The CMPNL2UCD is backed by a StarTech.com 2-year warranty and free lifetime technical support.